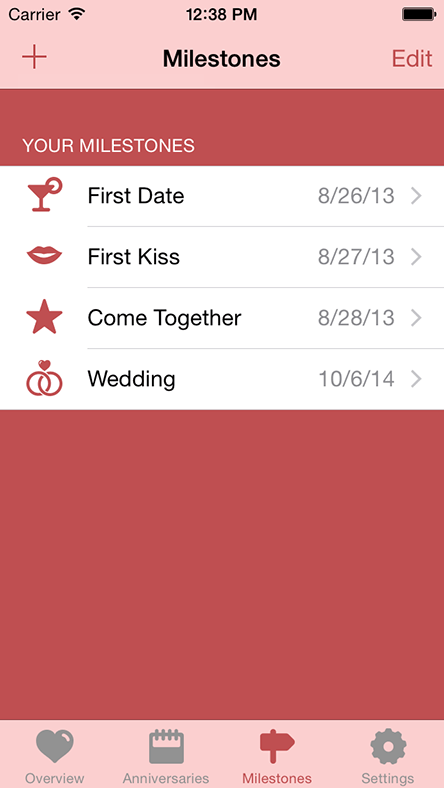 Surprise your partner with a romantic new idea, celebrate a very special anniversary. 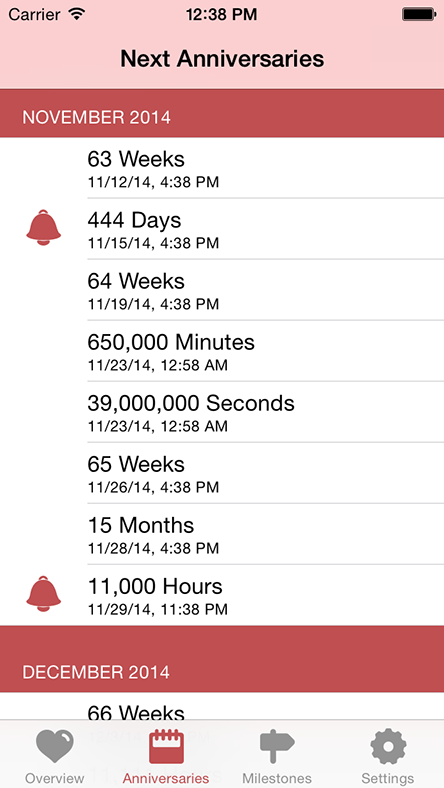 Find out when you will be 444 weeks, 100,000 hours or 2,222,222 seconds together. 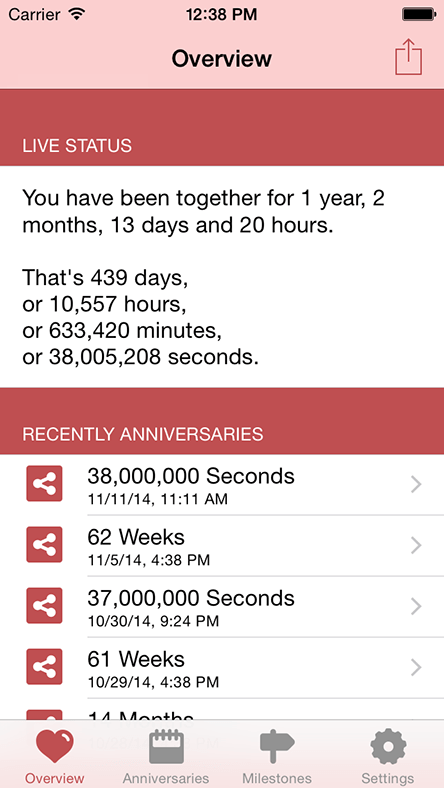 Share recently anniversaries with your friends. 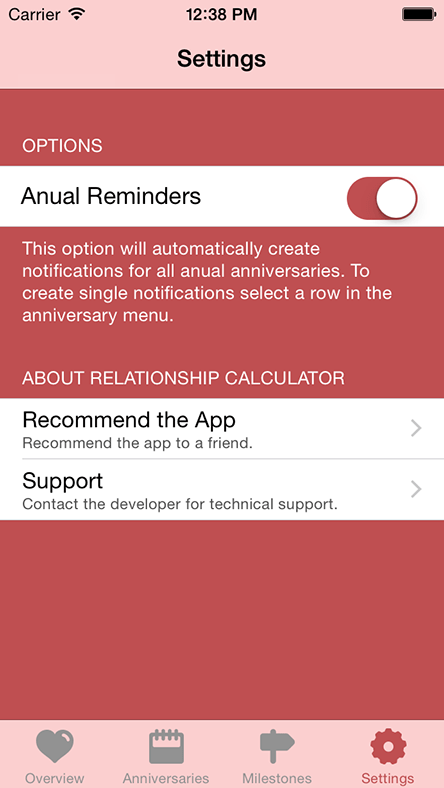 Setup push notifications for anniversaries you want to celebrate. 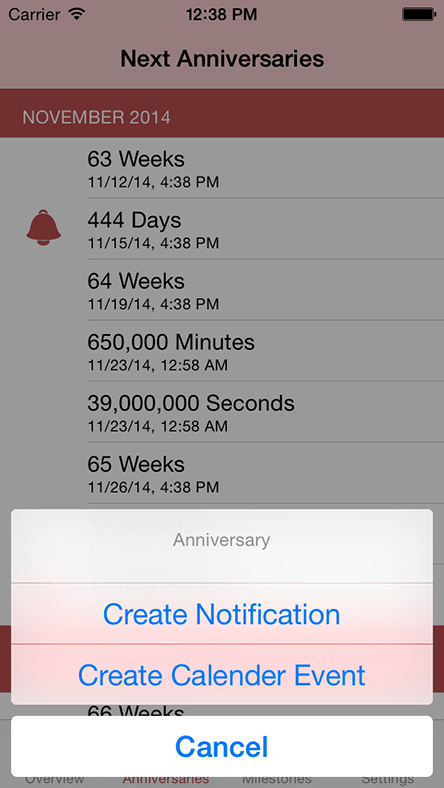 Add as many milestones as you like.